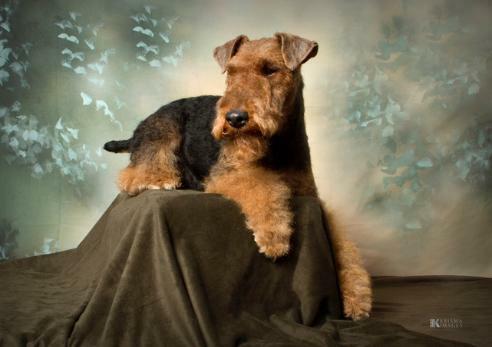 He has not yet competed in the Novice class at an AKC obedience trial. 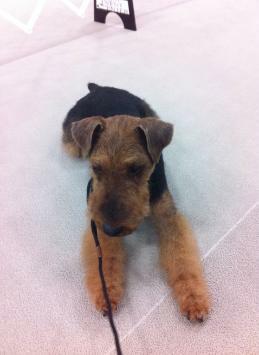 Dodger has earned the AKC Rally Novice (RN) title. Dodger has earned the AKC Coursing Ability Test title. Dodger has earned the AKC Tricks Intermediate title. Academy Professional Dog Trainer Course. See Is What You Get"
Cyfrwys - Welsh meaning "Artful"
"Artful Dodger" and Dodger is my call name. 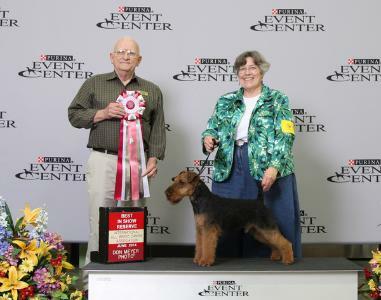 At the International Show at Purina Farms in 2014. Waiting ring side in 2012. 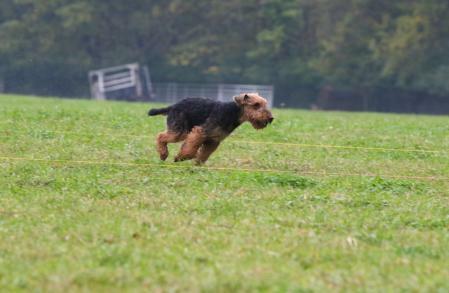 Dodger running his way to the AKC Coursing Ability Test title in 2016.